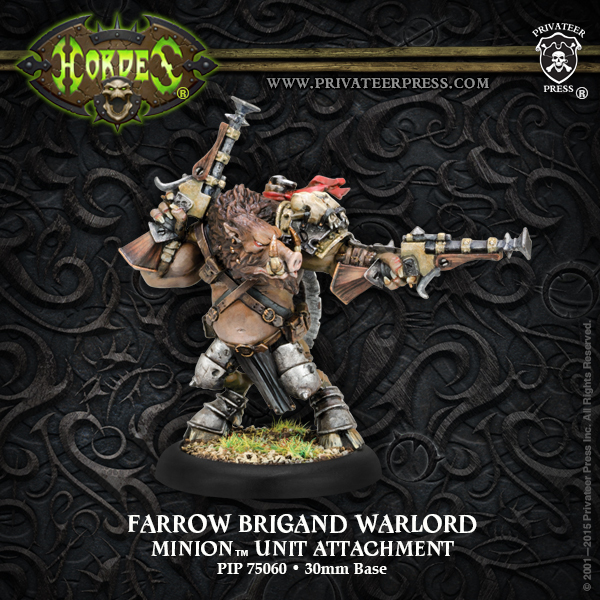 The Brigand Warlord is here and he is ready to buff his porky brethren – but at what price? This is a new UA to take with the Farrow Brigands. He is armed to the teeth with 2 POW 12 “Pig Iron” guns and a “Battle Axe”. He also has gunfighter so he can really tear it up in melee. He gives the whole unit Gang. This is really big for the pigs, as+2 to meelee attack and damage for the entire unit comes in handy. These guys went from to decent hitters to threatening heavies with charges now. He gives the unit Reform – so say hello to free 3″ Advance moves.. Combine it with Hog Wild these guys could shoot at stuff, move, melee stuff, and then move 3″ after that is all done! He gives the unit Prowl. This is highly situational probably wont come up much unless you are hanging out in the woods, but its nice to have Stealth when you can use it. There is one downside to the Brigand Warlord is for all the crazy abilities he gives the unit you have to pay for it at 3 points. Most UA’s that cost 3 points don’t see a lot of plays, but I think this one might have the stuff to get those pigs dusted off. 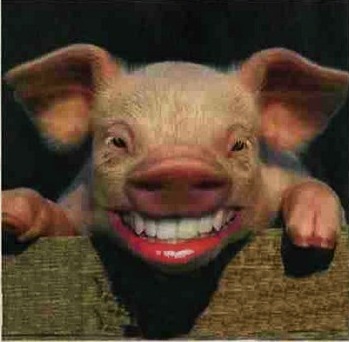 What do you think of this new Unit attachment for the pigs BOLS? Is he worth 3 points?